Tasted blind at Bordeaux Index’s 2000 tasting in London. 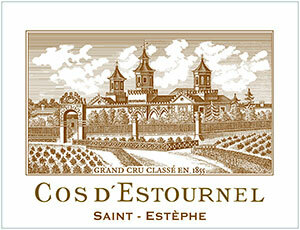 This is a fantastic Cos d’Estournel that I was unsure about out of barrel, but is now blossoming with age. It is adorned with a lovely nose: blackberry, wild hedgerow, espresso, a touch of chocolate and sandalwood. Very fine definition and vigour. The palate is full-bodied with ripe tannins, superb symmetrical structure, dense, obdurate black fruits, a saline note, very well balanced, very focused, broadening out nicely towards the ravishing, supple finish. Excellent. Drink 2015-2040. Tasted March 2010.